A mixed bag this time. I got these three science fiction novels from Paperback BookSwap, which, by the way, started charging 49 cents per book ordered as of the middle of February. Timothy Zahn is a SF writer whose work on Star Wars novels and other books I’ve enjoyed, so I thought I’d give these a try. 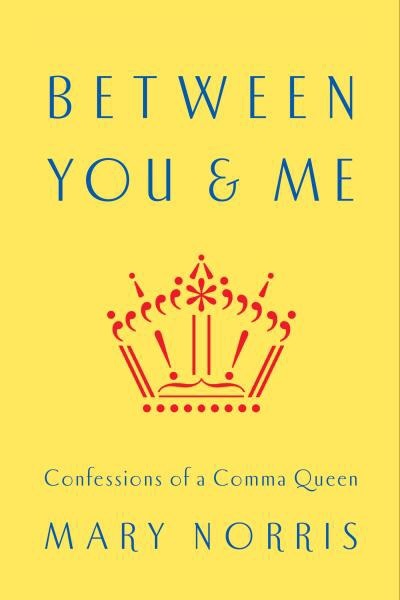 Between You And Me by Mart Norris [W.W. Norton & Company, ebook] – autobiography. After Jeff Meyerson sent a link and I read the article in the NYTBR and had to get this. Yes, I bought an ebook that cost more than $3. I might have been able to get it from the library in a month or so but was impatient. Bad me. I’ve read about 40 pages. This entry was posted in Books & Reading, New Arrivals, Non-fiction. Bookmark the permalink. Richard, I have never read the Star Wars novels and now that you mentioned it, I’ll try and add them to my sf reading. I have never read any tie-in. Is there any that really do justice or outdo the original source? Patti, there are some that add to, but as far as out-do, I’m not sure. In addition, our local library was having their monthly sale yesterday (just a coincidence, really) and we picked up six paperbacks for 50 cents each. Four were for Jackie but I was happy to get a trade paperback of THE CROSSING PLACES, the first mystery by Elly Griffiths, which was touted (along with the rest of her Ruth Galloway series) in the latest Deadly Prose. Galloway is a forensic archaeologist in Norfolk. The other one I picked up was DYNAMITE ROAD by Andrew Klavan, an author I usually enjoy. I’d never heard of this title. Jeff, there is some serious discussion of grammar so far, some of which I have to skim for sanity’s sake, but the autobiographical stuff is great. I read a couple of Zahn’s Star Wars works. They were good but it seemed a bit longish to me. I haven’t read anything else by him. Charles, longish seems to be the order of the day, doesn’t it? I’m hoping that’s not the case with these. I’ve read a bunch of Zahn’s books (very prolific writer!) but not this trilogy. If you give them a positive review, I’ll have to track them down. I’m done with WOLF HALL and I’m in the middle of BRING UP THE BODIES. I can’t wait to leave the 16th Century. George, I’ll bet. You’re enjoying them, though? I just got a copy (from the library) of the WOLF HALL/BRINGING UP THE BODIES theater adaptation and will be interested in seeing the differences. Prashant, there are many, many Star Wars novels, as well as graphic novels and story collections, though these are not among them. Patti, the Star Wars novels are mostly for big time fans, same as the Star Trek novels. I gather they sell a lot of them, though I’ve only read a few. I thought I’d try this trilogy, which has no connection to SW, because I have liked Zahn’s writing before.